Hello! 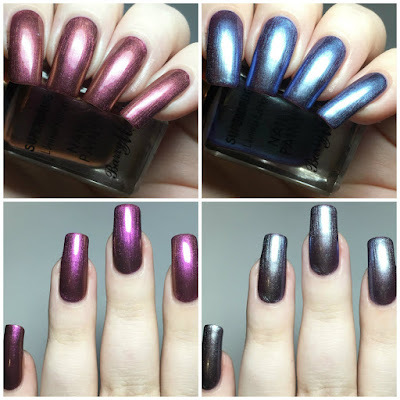 As promised, today I'm back to show you the other two new limited edition Barry M polishes, this time exclusive to Superdrug. 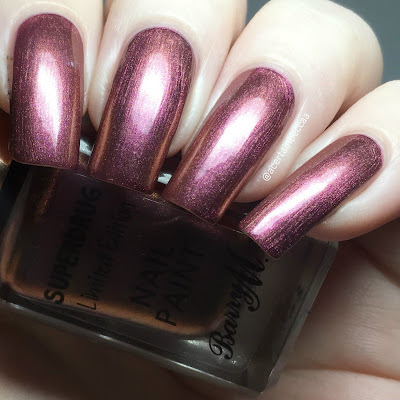 If you missed my swatches of the two Boots exclusives, you can find those here. Both Superdrug shades are gorgeous shifty duochrome metallics. Read on for my full swatches and more info! 'Venom' is a bright purple metallic duochrome that shifts to a rich coppery orange. The formula is super smooth and easy to apply. It does start off a little bit sheer on the first coat, but deepens up and covers completely with a second. Below is two coats with topcoat. 'Volt' is a silvery blue metallic duochrome that shifts to a purple, with added green shimmer. The formula is smooth and easy to apply. This a little bit sheerer than 'Venom', and I did find that it benefited from a quick third coat. Below is three coats with topcoat. What do you think? I'm not always a huge duochrome fan but I really like these! The look of both polishes changes a lot based on different lighting and angles. They have fab formulas, rich colours, shift nicely, and aren't too overcomplicated. I also love the added pop of green shimmer in 'Volt' - it's quite subtle but it is there! 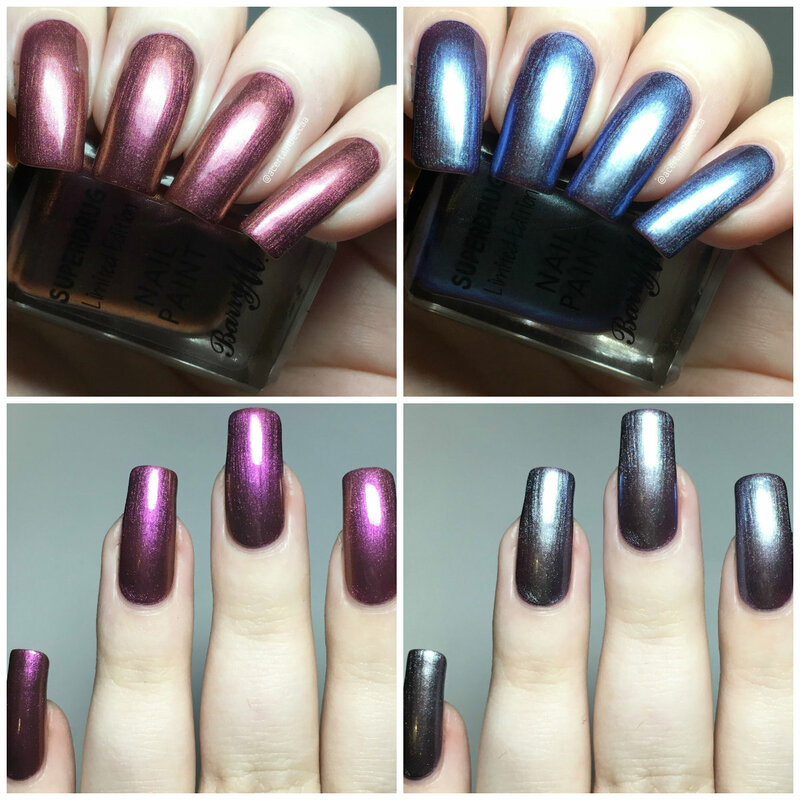 You can find both 'Venom' and 'Volt' for £3.99 each on the Superdrug website here. You can also currently get a free lip and nail paint duo if you spend £9 on Barry M.